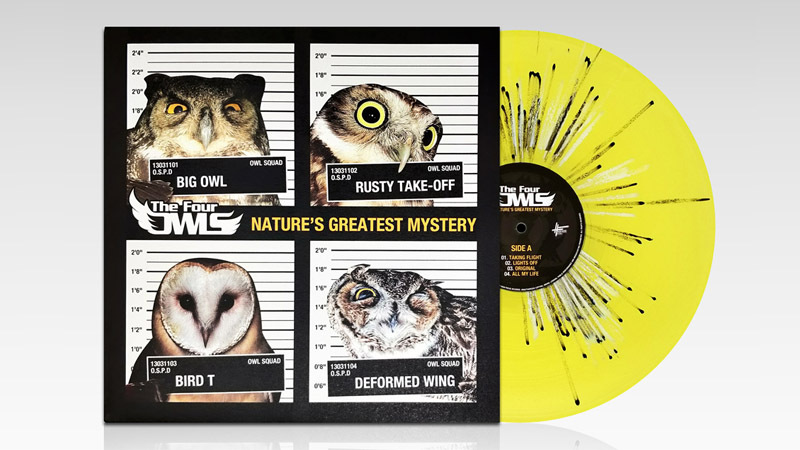 The Four Owls highly acclaimed classic 2011 album ‘Nature’s Greatest Mystery’ produced by Leaf Dog is back in stock after two years. The album features classics as ‘Life In The Balance’, ‘Not Like Before’ & ‘Much To Much’ and features Dirty Dike, Jam Baxter & Q-Unique. This album made waves the world over, making The Four Owls a household name, and is a must have for any collector or Hip Hop fan! Limited edition repress on yellow / black / white splatter double vinyl, full colour 350gsm reverse board sleeve. 14 track LP over 2 discs. Shrink wrapped for extra freshness. Get over to the High Focus Online Store to secure yourself a copy before they all go!